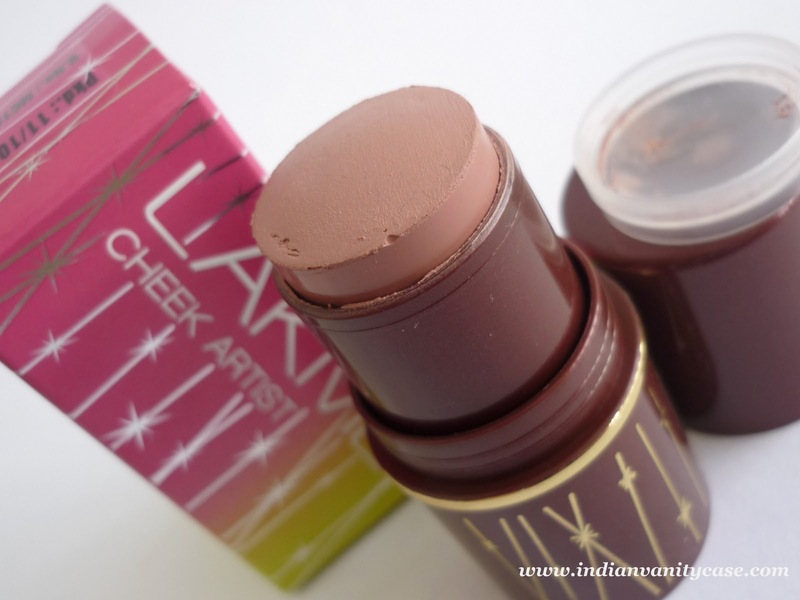 Two shades of Cheek Artist were launched with the Lakme Fantasy Collection ~ Peach Blush & Kiss Of A Rose. I wanted both of them from the start. They are a set. They belong together. On my dresser too. 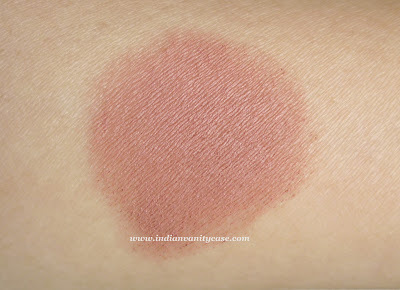 Kiss Of A Rose is a dusty rose shade which, on me, is a MCBB blush. Arre, baba, My Cheeks But Better. So natural it looks, just like after jogging effect. I toh thought it would look so dark on me, but it doesn't, thanks God. Sorry, I guess Butterfly is rubbing off on me. I am currently reading The Diary of A Social Butterfly by Moni Mohsin. Have you read it? She's freakin' hilarious! Okay, seriously now, I like this blush a lot. It looks really natural and goes with everything. 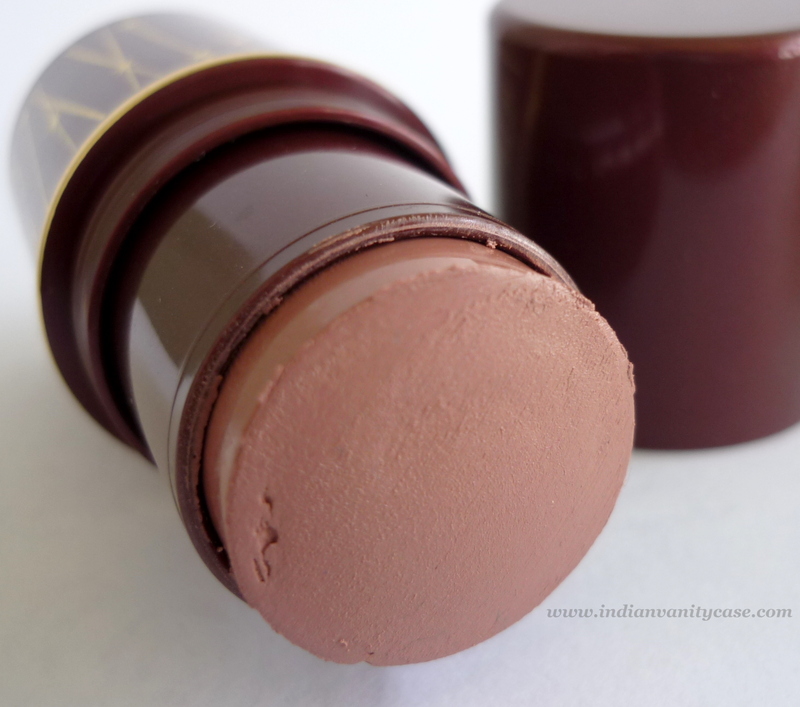 It is matte and has no shimmer (which Peach Blush has.) Blends like a dream, and stays put for hours. It would suit most skin tones as well. It comes with a plastic cap. I noticed that the blush stick is softer and squish more easily than the other shade- Peachy Blush or maybe it's just because of the weather here, can't say for sure. Rating ~ ♥♥♥♥♥ 4.5/5. 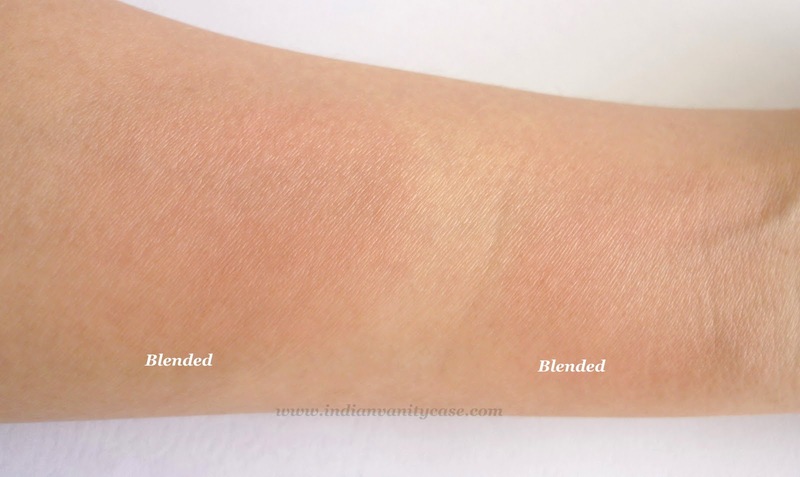 It's more wearable and has better color payoff than Peach Blush. Hence, the higher rating. I love it! :) it's a very pretty color. My skin just eats this up! :( i love the colour and it disappears.... how do you apply this cynthia? can you do a tut? Can't wait to come back to India so I can get my hands on some Lakme! Nothing has made me want this blush as much as your first photograph! The colour looks really wearable. I'm going to get one really soon! Do we still get dis product?